Celebrate the life and legacy of Talbot County native Frederick Douglass, one of the nation’s most prominent figures in African-American and U.S. history. On Sept 23, 2017 from 10 am to 4 pm in downtown Easton the Frederick Douglass Honor Society, the Town of Easton and Talbot County Free Library will help celebrate of the life and legacy of Talbot County native Frederick Douglass, one of the nation’s most prominent figures in African-American and U.S. history. Enjoy a variety of talks, activities and music. 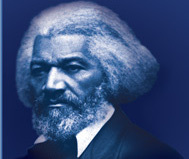 For more information, see www.frederickdouglassday.com or call 410-463-5789 or visit Frederick Douglass Day Facebook Page.